Create your own personal web page to showcase your property. Your page is generated automatically with the information you enter through user-friendly step-by-step pages. 12 Color Images - Upload your Images at any time or we will upload them for you. Images may be replaced with new images at no cost. If you need more than 12 images, just let us know (no charge). Unlimited Narrative Space - Plenty of space to let buyers know about the unique qualities your home has to offer. Property Specifications - Over 30 attributes and features specific to real estate as well as room dimensions. External Website Link - Link to your own personal website if you have one. Virtual Tour Link - Link to your own virtual tour or your YouTube video. Facebook Buttons - Your digital ad has facebook buttons so you can share your property with all your friends. Open House Advertising - Free listings of as many open houses as you want. Real-time Updates - Unlimited 24/7 real-time updates to your digital ad. Hit Counter - Your page keeps track of its own hits. Professional Yard Sign - Sturdy 4' tall wrought-iron post with 24" x 24" sign with your phone number. Brochure Box - Free-standing brochure box —you keep it filled — with web-generated brochures. Sign package is limited to certain regions. Check your local region for more information. List on your local Multiple Listing Service for 6 or 12 months and up to 25 images. 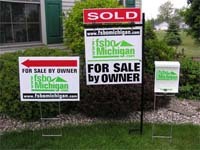 Get the exposure of the MLS and Realtor.com as well as the exposure of FsboMichigan. If you sell through the MLS, you pay the buyer's agent 3% and our partner listing agent 0%. You can still sell by owner and avoid the costs, or sell through the MLS and pay less than anyone else. A QR Code linking to YOUR OWN LISTING PAGE is automatically generated for you. 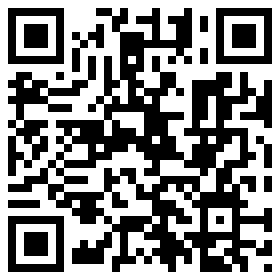 A QR code is used by mobile devices for quick access to web pages. A quick scan by a mobile phone will go directly to your digital ad. 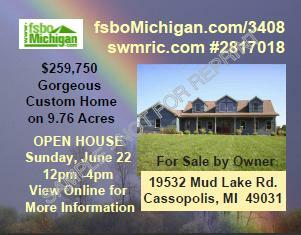 We also put our mobile site QR Code code on the FSBO Michigan yard sign (check with your region rep for availability). Three (3) print options that include your personal web address and your own generated QR code. We post your home to our and pages. Let us design a fsbo postcard customized for your property. We will send them to random homes throughout your community. Easily generate HTML for your craigslist ad or other sites where HTML is accepted. Definition: Hypertext Markup Language, a standardized system for tagging text files to achieve font, color, graphic, and hyperlink effects. Just by logging into your account every 60 days, your digital ad will be showcased randomly on our web site in strategic locations. No extra cost for spotlight positioning. Purchase Agreement, Seller's Disclosure and Lead Disclosure downloadable off the web site. Information for buyers and sellers on the 'for sale by owner' process. Service directory of real estate and home maintenance professionals (attorneys, mortgage companies, appraisers, title companies, inspectors, etc.). Sign up Now for FREE and see how easy it is to start selling your own home.